"The Treasurer's Office is really sometimes a dumping ground for political appointments," said Heck, executive director of Common Cause in Wisconsin. 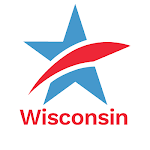 Jay Heck, executive director of clean government watchdog Common Cause in Wisconsin, said there should be limits on how many maps lawmakers can distribute - especially with the state's current fiscal situation. 'If they're continuing to send out unlimited numbers of maps with their names on it to promote themselves, that's not real sacrifice," Heck said. "It's free self-promotion at taxpayer expense, and that's just really not a proper use of taxpayer dollars." CC/WI In the News - September 2009Tweet this!